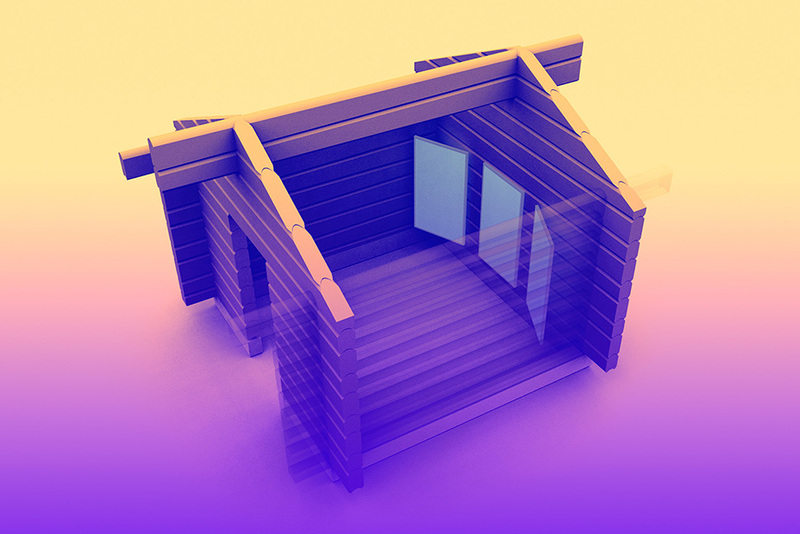 The artists spent a month in three separate cabins in a remote part of Lapland, entirely cut off from each other and the outside world. 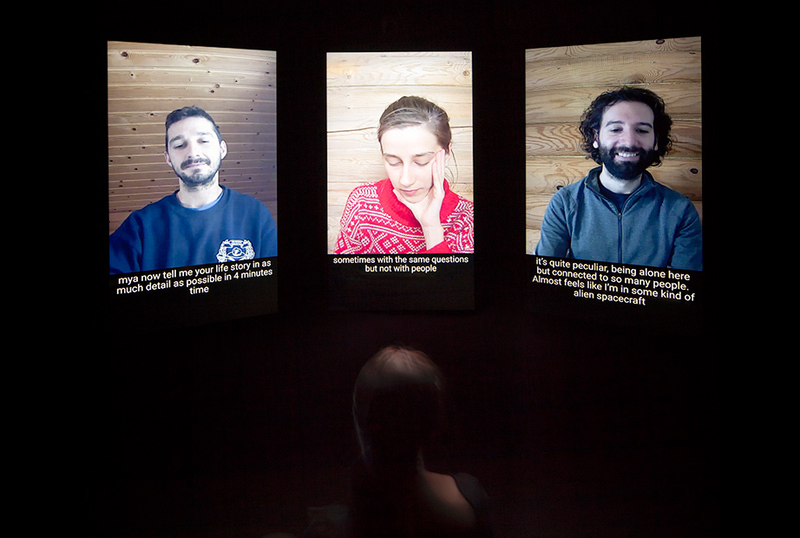 A video link to a small cabin installed in the museum in Helsinki was their only point of human connection. Inside the Kiasma cabin, the public could speak directly with the artists, who could communicate with visitors—but not with each other—by text. 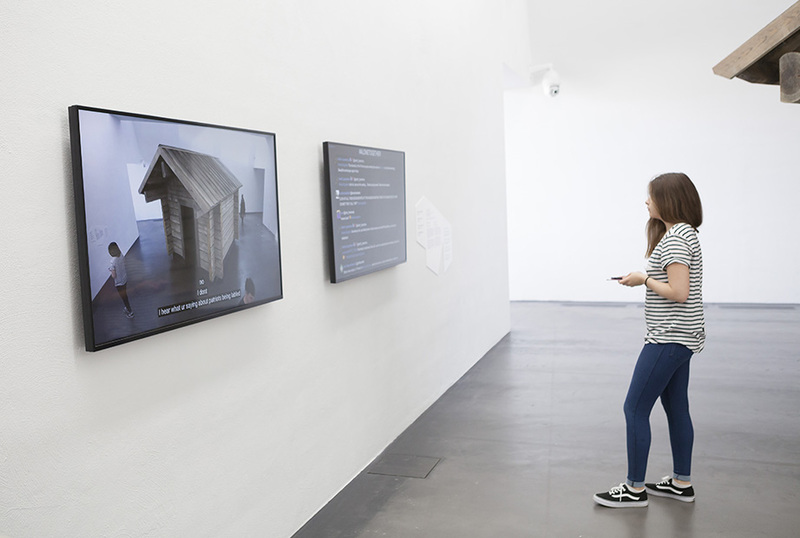 A live video from the gallery appeared online at alonetogether.kiasma.fi, displaying the real-time text communications from the artists as a continuous stream.